FM-200 is a clean agent fire suppression system that protects high-value assets from fire and the effects of fire – fighting , allowing normal operations to be resumed quickly with no collateral damage and clean-up costs. 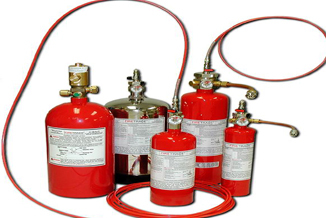 Kidde fire protection is at the forefront of new technologies in fire safety, offering a range of state-of-the-art fire extinguishing systems. 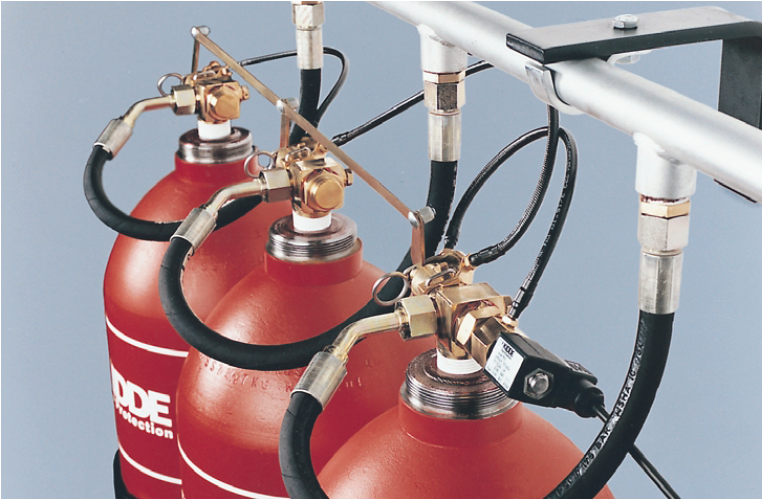 Carbon Dioxide (CO2) was the original "clean" gaseous fire suppression agent pioneered by Kidde over 80 years ago. Since then it has safely extinguished more fires than any other gaseous agent. Highly versatile, it can be used for total flooding or in local application. Another big advantage is that it is relatively inexpensive, with CO2 readily available world wide for low-cost re-charge. 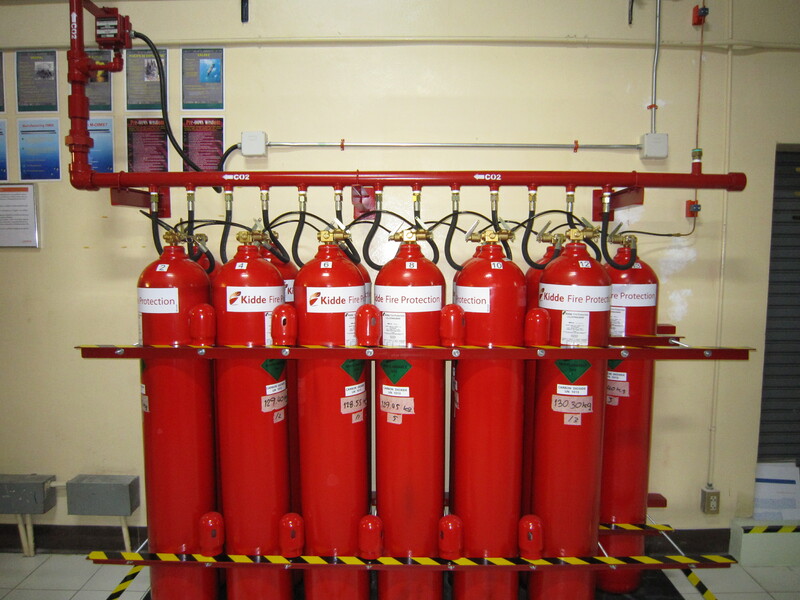 CO2 occurs naturally in the environment and therefore has no restrictions on its use in fire fighting. While it is widely used in unmanned applications, it is also suitable for use in manned areas provided suitable safety measures are adopted. Firetrace is the world leader in special hazard fire protection, providing both in cabinet and machine level fire prevention and protection for high value and/or mission critical machinery and equipment as well as our new E4 Engineered Solutions for protection of large rooms.